Looking for a plant that performs well no matter the soil conditions, comes back year after year, divides easily, gives a bit of height and colour? (Music to the ears of a beginner-gardeners). 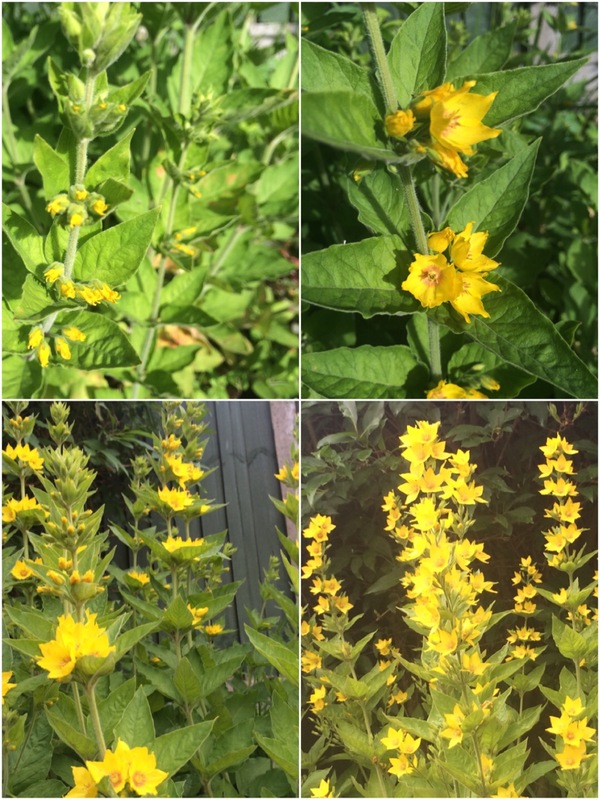 Look no further than Lysimachia- otherwise known as Loosestrife. My Lysimachia Punctata has been divided where the original plant is in a very shady spot and the soil gets more moisture, into a more exposed, sunny and dry soil spot. I planted a clump of roughly 6 stems and four years on I have a bush that has quadrupled in size with the only maintenance being cut back the stems at the end of the year! The roots are rhizomes which is why they are incredibly easy to divide and spread. So why not give this hardy, easy to maintain and love to look at plant a go!